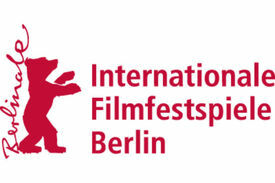 Two Russian films have been selected for competition at the Berlin International Film Festival, which opened today. The prestigious European festival chose Boris Khlebnikov's A Long and Happy Life, which tracks a rural activist fighting the government for land rights, and Svetlana Baskova's black comedy For Marx! for two of its highly contested slots. They join a broad slate of big name and unknown Russian films shopping for distribution during the 11 day festival. Among the 40 films looking for a buyer are the hiker horror flick The Dyatlov Pass Incident, directed by Renny Harlin (Die Hard 2, Cliffhanger), Fedor Bondarchuk's 3D IMAX epic Stalingrad, and Soulless, the $13 million minor Russian hit that stars Danila Kozlovskiy, the burgeoning heartthrob who's just been cast in the most promising post-Twilight teen franchise hit Vampire Academy.